To log-in to Facebook is to enter a social space entirely different from the rest of the Internet and your physical reality. It is like walking into a hall of old friends, current co-workers, ex-partners, mothers and daughters, fathers and sons, people who do not identify or do see themselves as a multiplicity of genders and identities. It is a murky swamp and an five-year college reunion, a high school prom night remembered, a company meeting, a political rally and a comedy show all at once. The news feed algorithm sorts through content, highlighting the stories it believes you want to read and digest, or providing you with in-the-now updates. It is another world to lose yourself in. The job of writing copy for the world’s largest social network – text that can be read across hundreds of languages and mutually understood – is a daunting one. This task is wrapped up with the content strategy team who also build the design and layout of the site. They are responsible for the first and the last thing you see, as you enter and exit the site. They are the gatekeepers, and they hope you don’t notice them at all. ReadWriteWeb spoke with Facebook’s Head of Content Strategy Alicia Dougherty-Wold to find out more. ReadWriteWeb: How does language shape the culture of Facebook communication and the communication that takes place on Facebook? Dougherty-Wold: I think in someways, it’s more the way people communicate shapes the words we choose. We want to be behind them, we want to be a comfortable place for them to do what they want to do, so it’s not really us directing their use than responding to it. ReadWriteWeb: Why does Facebook use the second-person? Dougherty-Wold: On the Content Strategy team, we are applying design thinking to content. Every word on the site has a reason for being, and has some thought behind it that is tying into a bigger, consistent experience. You experience the same Facebook wherever you go: On mobile, Android, the Web. It should be the Facebook you know. It shouldn’t intrude on your ability to connect with the people you know. By content I mean everything from the button text to prompt “what’s on your mind” to some of the headlines and names of pages and content. ReadWriteWeb: Whom do you imagine you are writing to? Dougherty-Wold: It’s an interesting challenge for a writer because we are aware of providing a service that is global, so we are writing in a way that makes it possible for other people to make use of it across cultural contexts and ages. We are very conscious of wanting to use very simple, conversational language that’s very accessible whether you’re brand new to tech or very experienced, no matter if you’re a college student, you’re retired, you should feel the same sense of welcoming worth in the content. As a writer, it’s very different than writing for a publication with a very narrow audience where you might user slang or colloquialism to reach young people, or more formal language with a particular business audience. It’s a very fun challenge to become that core human voice. ReadWriteWeb: Why does Facebook use login instead of sign in? Dougherty-Wold: Our team has existed for about two years and has grown the fastest in the past year. And so we are in the process of working on more of the site. There is content on the site that is part of the history of Facebook. Logging in or login is more of a technical term, but one of those technical terms that has become more universally used. So that’s one where, there are some places where we actually really discuss it and evaluate it eternally. This is part of the rich history of Facebook, and people have come to just expect it. That’s more of an of an example where our design steps back. Instead of being cute or trying to use a metaphor, it’s just a button. ReadWriteWeb: Are you saying that it’s more utilitarian in its nature? Dougherty-Wold:I think useable and useful. So the funny thing is, you’ll see sites that say sign in and that’s actually a metaphor that may not be understood across cultures. There’s a way that login – because it’s frequently used in just this specific context – is the right call. It’s funny because you have one word on a button, and there’s a sense that could be any word – but there’s a tremendous amount of thought that goes into it. ReadWriteWeb: Let’s talk about the Like button. It’s such a huge part of the Facebook culture. Why did Facebook go with it, instead of love, OK, cool or something like that? 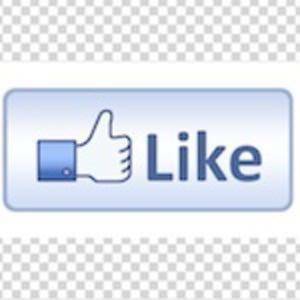 Dougherty-Wold: The Like button precedes me at Facebook. When were trying to design an experience that is really simple and human, “like” is just this very simple universal sentiment. I like my mom’s status update. I like my co-worker’s post. The Like button is such a tiny nugget of connection. Something that was not actually a feeling wouldn’t be able to communicate the same thing. I think like is a universal sentiment. It’s something that works for a global audience to use as they desire. And I think that’s part of the excitement of working at Facebook – we create things and then we just enjoy how people make use of them. ReadWriteWeb: Liking is a very human feeling. Anytime you learn a new language, learning to say “I like” some object, color, animal, person, is one of the first things you learn. So what about the word “Status,” as in a status update? Dougherty-Wold: Status goes back to our very first interface. So long before there were content strategists or content people, when the company was very small, that’s one of those terms that people now know and love and understand. When it started, it’s what’s happening for you in this moment. The status report is you in this second. As Facebook has evolved, so has the status update. You can tell a story that’s up to 60,000 characters. It has evolved to be something that is much more than being in the moment. But that’s more how people use it – it is another term where people who use Facebook have really given the word that meaning. It’s like here’s what we think will be the simplest and most straightforward word possible. We’ve given a very simple tool and what you the user build and make magic is really up to you.